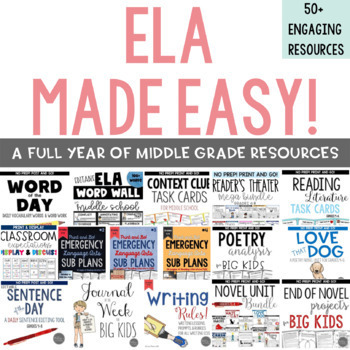 Incredible YEAR LONG resource collection to help you implement effective Daily ELA Rotations in Grades 4 through 6. Reading, writing, and word work are all covered with engaging, print-and-go lesson plans. 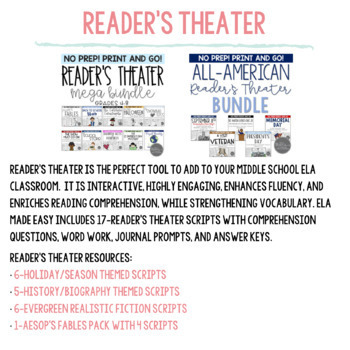 This special bundle features my classroom-tested, time saving tools for easy implementation of the 5 daily ELA rotations: Read to Self, Read to Someone, Listen to Reading, Writing, and Word Work. Also included is my implementation guide for utilizing each of the 20 core resources, making your planning and classroom integration even easier. 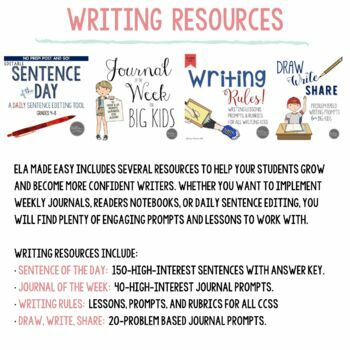 With the purchase of this DAILY 5-INSPIRED BUNDLE valued over $190, starting your year or making the most of your time with your students will be a breeze! 100% designed with student engagement in mind! 100% teacher-created for use by teachers! Your success with this product is important to me. I work hard to provide a reply to all support questions within 24 hours! I would LOVE to hear your feedback on this product! By leaving feedback you earn points toward future purchases that will save you money! 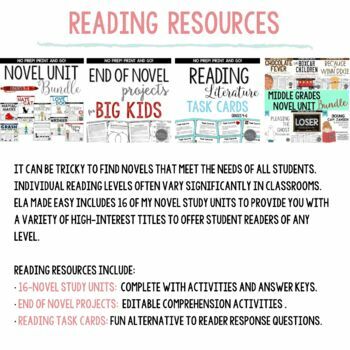 Also, be sure to FOLLOW me so you are aware of new resources as soon as they are posted! Happy Reading, Writing, and Word Working!